I did not know what to think when i thought of Tasmania. To be honest I didn’t think it was going to be any different from the rest of Australia and I must admit I was a little sceptical at first, but something kept pulling me towards the trip. 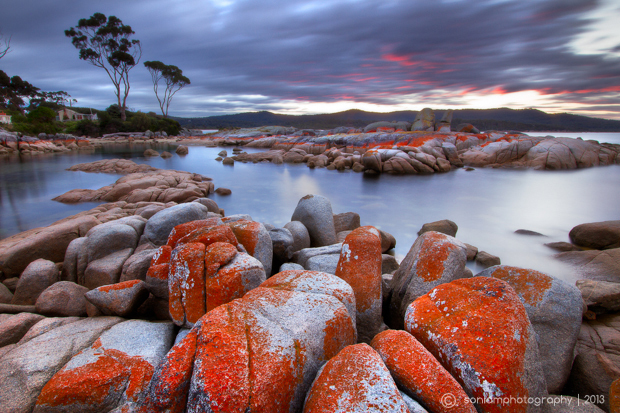 In March we came to Tassie for 10 days. 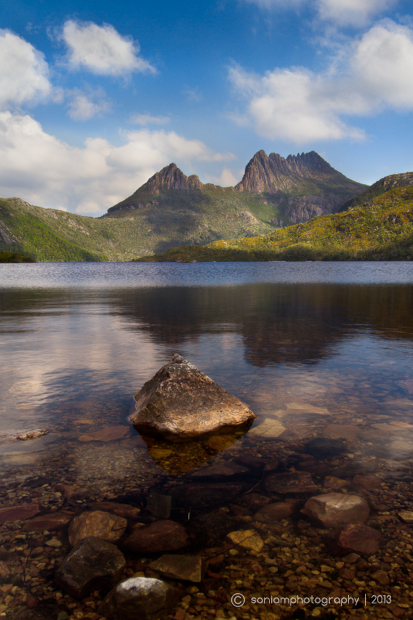 The plan was to spend 5 days as a part of a photography group from Sydney organised and headed by Timothy Poulton who is a well known panoramic photographer based in Sydney. 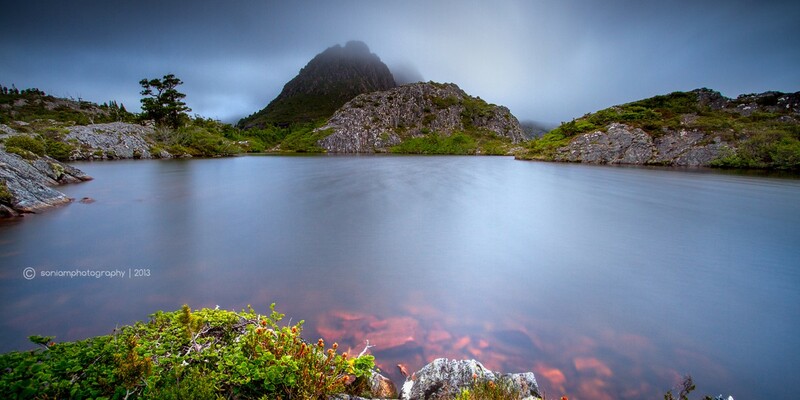 The first stop on our itinerary was Cradle Mountain National Park, so after arriving at Launceston airport in the evening and having a quick dinner we drove 2.5 hours to the Wilderness Village Accommodation at Cradle Mountain. If the dark forest and extremely winding mountain road wasn’t enough to make me feel nauseous, the fact that Tim is an Australian GT championship driver did not help and we had to make an unexpected pitstop on the side of the road…haha. Luckily I recovered quickly before I saw my dinner for the 2nd time that night. When we arrived at the lodge, exhausted I pretty much fell a sleep as soon as my head hit the pillow. We woke up the next day for our first sunrise. The water in the lake was lower than I remembered from all the photos I have seen, caused by a lack of rain. A lot of the beach was exposed giving us something different to work with. The weather was up and down with rain and quite unpredictable, it can flip and change without a warning and looking back we were pretty lucky to be able to shoot all the locations we went to. We started the day at 6am and went down to Dove lake. 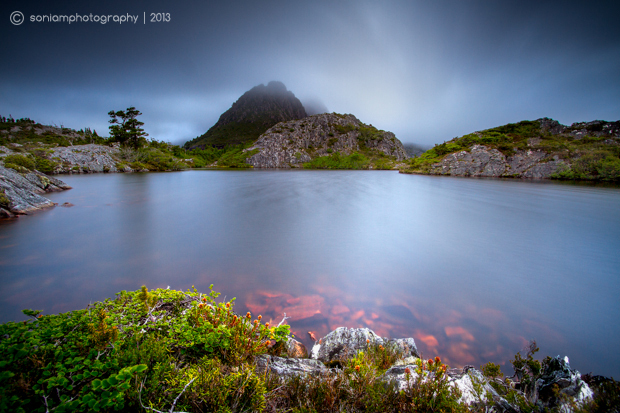 When we arrived Cradle Mountain was covered in a thick layer of clouds. Luckily after a while the clouds broke up and all of us saw this famous vista in all it’s glory. 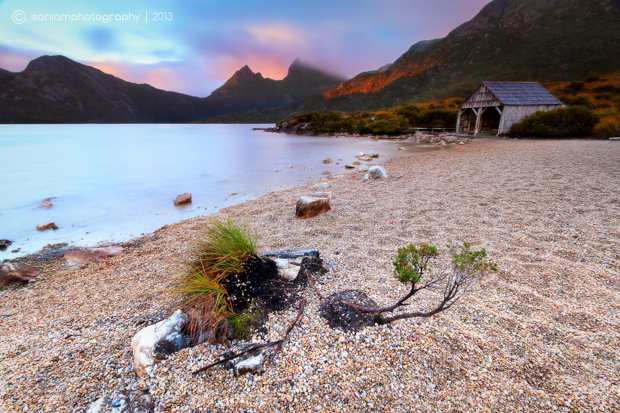 After our sunrise at Dove lake, we went to explore more of this stunning national park and world heritage area. 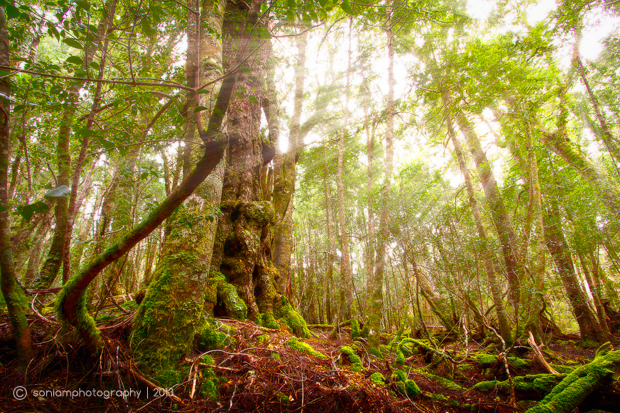 We started with a walk through the enchanting Ballroom forest, which looked just amazing. 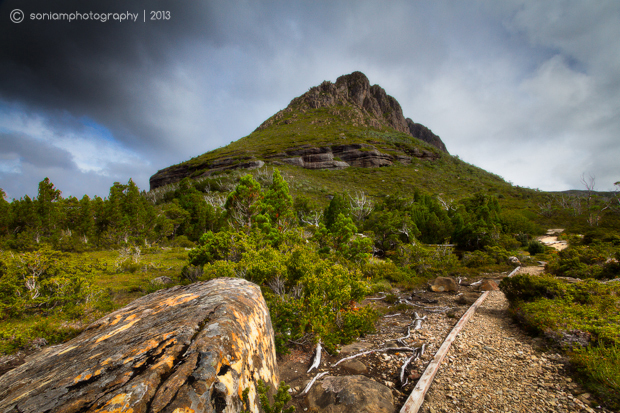 We took a few photos and continued what ended up being a 4 hour hike up Cradle Mountain with all our gear (camera bags, tripods & water). I was a little worried about not being able to keep up with the boys. I remember it being quite a hard climb including a steep chain. But man, it was an amazing feeling and adventure being deep in the mountains, enjoying the view and the fresh air without a care. After 4-4.30 hours we arrived at Twisted lakes. What a stunning location, I can understand why Tim wanted us to make it here so much. I would not want to miss out on this one for sure. The sky was overcast and we had about 3 hours until sunset. A light drizzle was keeping us awake. We waited for 2 hours, hoping the clouds would spread out a little so we could get an amazing sunset, but as it was getting later and later and the weather was not co-operating so we decided to head back down to the car park. We still had 2 hours of walking and no one was too keen to go down the vertical chain in pitch black. You know what? It doesn’t matter about the sunset I think everyone got a hell of a shot from Twisted Lakes and everyone achieved something. Finally after arriving back down to our car we were ready for dinner. This black and white photo is from the 2nd sunrise at Cradle, as you can see the conditions worsened since the day before. We literally could not see any of the mountain, but that’s just the way it is up there. You can’t control the weather you can only give yourself a good chance by getting out of bed and making the best out of the conditions. I still like the shot, it makes a sweet black and white photograph. 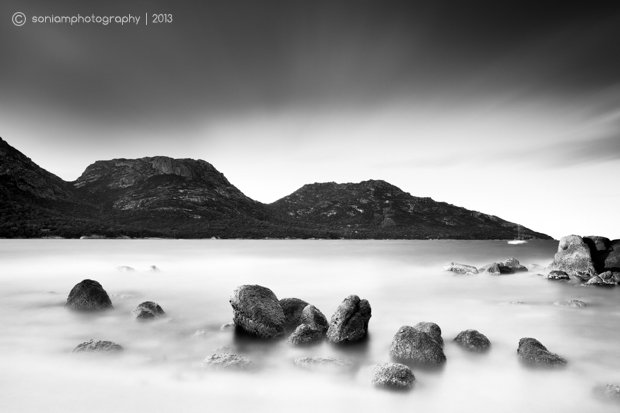 After leaving Cradle Mountain we drove to Coles Bay. 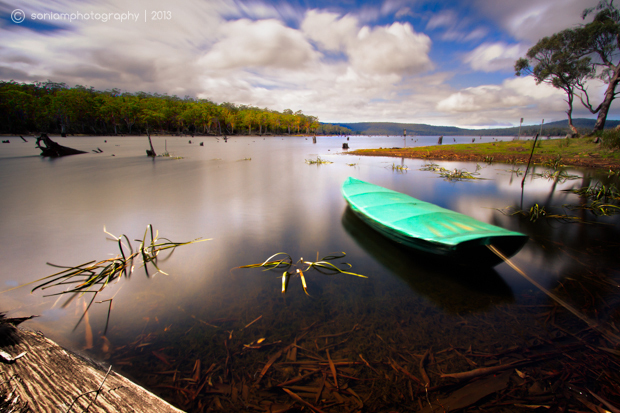 We broke up the journey by stopping at lake Leake in Eastern midlands. 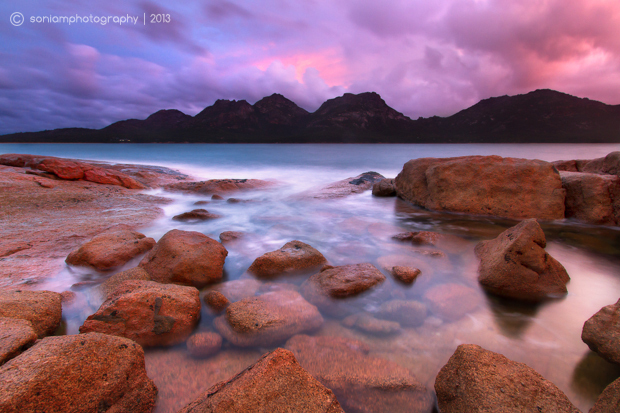 Coles Bay is a town on the east coast of Tasmania, a gateway to Freycinet National Park. I did not have time to explore this area as a huge storm came over shortly after our arrival. We spent most of the day in our house. We decided to go out for a sunset despite the rain, it was still raining when I took this photo of the Hazards which is a rugged mountain chain. It was quite challenging to photograph it, with the rain that kept falling onto my filter leaving rather large dots and splashes in my digital negatives. The sky and the light were too spectacular to miss! I would love to return here someday for a few days and absolutely nail this location. Apparently, the northern lights happen here all the time, so that would be pretty amazing to witness as well. The next morning we headed out for sunrise, but the cloudless conditions and flat light did not make it ideal for a photograph. However, later that morning we were walking along some beach next to the Hazards and found this nice spot for a quick shot. The next morning still based in Coles bay, we went for a day trip to Bay Of Fires in Binalong bay 1.5 hour North from Coles Bay. 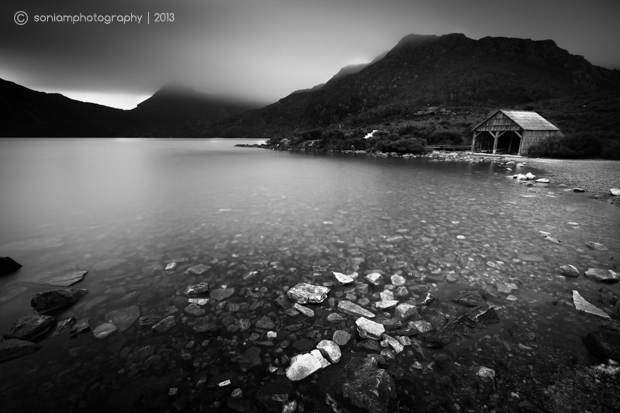 This location is every photographers dream. So after a pretty awesome 4 day adventure with the gang ( Timothy Poulton, Bruce Hood, Stanley Kozak, Andrew Lomas and my other half Steve Arnold) me and Steve had to say goodbye to everyone at Hobart airport. It was quite sad to see them go, but all good things have to come to an end. The boys where heading back home and we had a few more days left in Tassie. 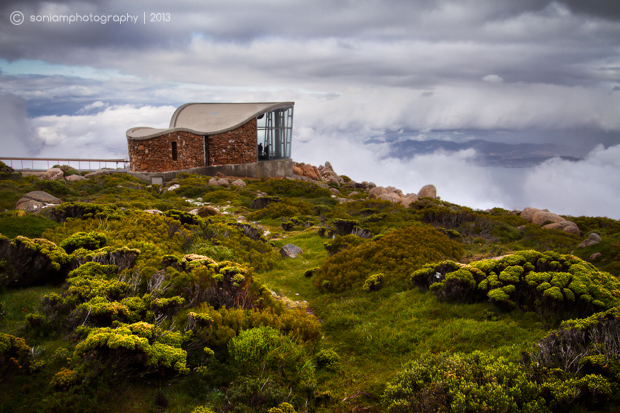 The photo above is from Mt Wellington, in the heart of the city of Hobart. There is a steep and narrow road to the summit that takes around 30minutes (22km) from the city centre (or 40minutes slow drive to avoid all the pademelons walking around in the road). We were hoping to shoot a stunning electric sunset above the clouds, but our dreams shattered as 5minutes after I took this photo it started to bucket it down and I could not see 10 meters in front of me. We woke up nice and early the next day for a sunrise and begun the steep drive up the mountain in darkness. Even though I was dressed appropriately with thermal top and bottom, fleece, beanie, gloves and gor-tex jacket my teeth were chattering uncontrolabely. I was excited, nothing would make me stop shooting, but I was a lot happier when the sun came up and at least some warmth returned to my body. Note to self: next time double up on thermals. I got a little sick towards the end, but over all it was an awesome trip, there is so much to see and explore, I would come back anytime. 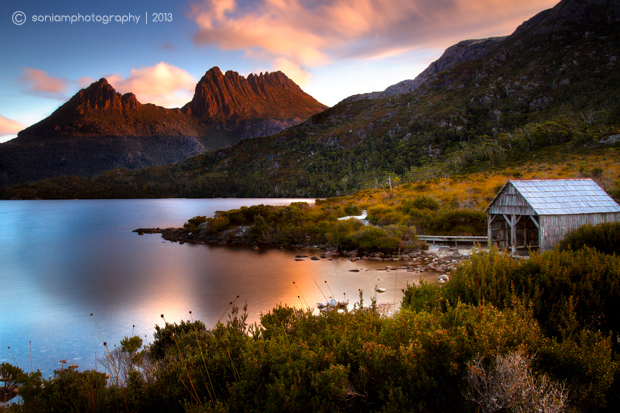 My highlight must be Cradle Mountain National Park, the scenery is simply spectacular. 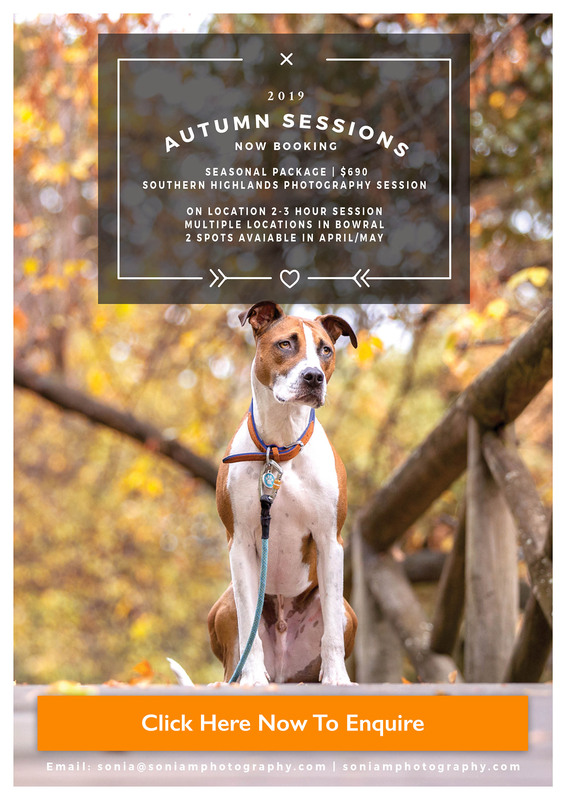 I hope you enjoyed my post, if you wish to purchase any of my photographs just drop me an email via my contact form. 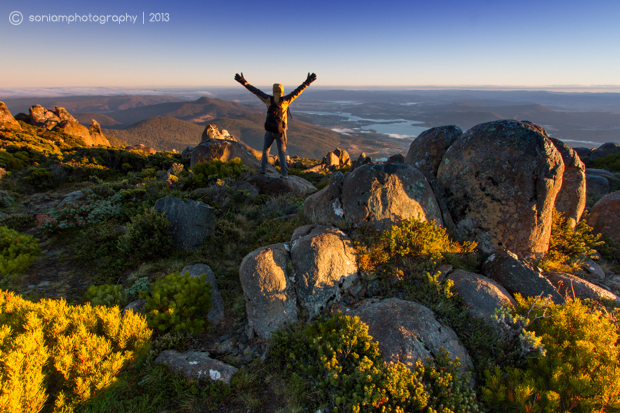 Also if you would like to book a trip with Tim, just head over to his FB page – One Of a Kind Photography Adventures. Cheers guys, take care and safe travels.